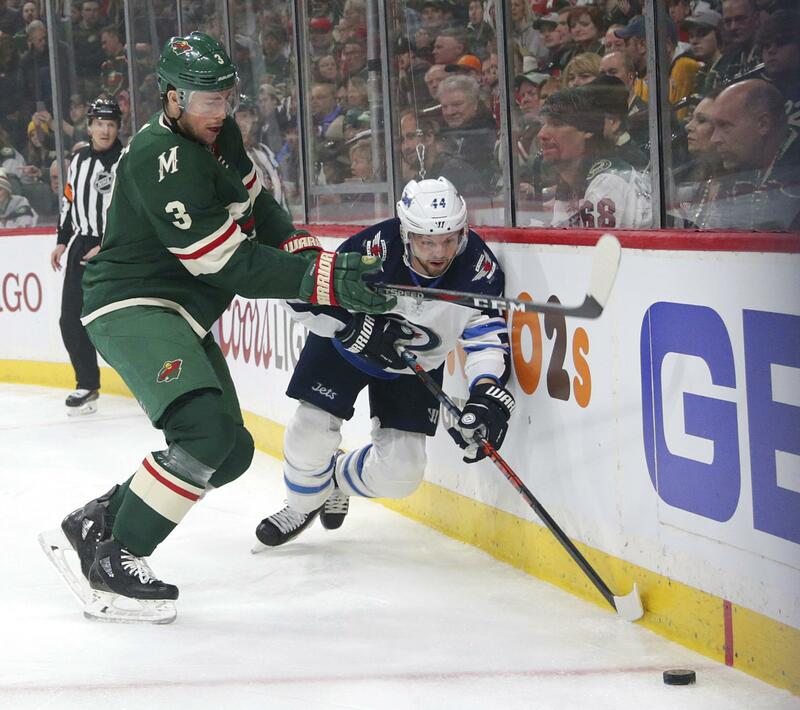 UPDATED: Wed., April 18, 2018, 5:53 p.m.
WINNIPEG, Manitoba – Winnipeg Jets defenseman Josh Morrissey was suspended for one game by the NHL on Wednesday for cross-checking Minnesota Wild forward Eric Staal. The cross-check to Staal’s neck happened in the first period of Winnipeg’s 2-0 victory Tuesday night. Morrissey had a hearing with the league’s department of player safety Wednesday. No penalty was called on Morrissey, and Staal finished the game. “While we acknowledge Morrissey’s argument that this is not an intentional cross-check to the neck meant to harm or injure an opponent, this also is not a routine motion to box out an opponent,” the NHL said in a video explaining the penalty. The Jets lead the best-of-seven series 3-1. Game 5 is Friday night in Winnipeg. Morrissey has one assist through four playoff games. He had seven goals and 19 assists in 81 regular-season games. Published: April 18, 2018, 5:07 p.m. Updated: April 18, 2018, 5:53 p.m.